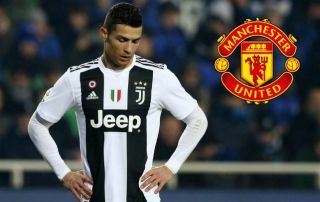 If you thought the days of Cristiano Ronaldo Manchester United transfer rumours were over after his move from Real Madrid to Juventus last summer, you were wrong. Talk is emerging again of the Portugal international being eyed up for a romantic return to Old Trafford as he’s said to be ‘sorry’ for having chosen to move to Serie A this season as Sir Alex Ferguson approves a bid to re-sign him, according to Diario Gol. As outlandish as this sounds, the report does go on to stress that Ronaldo is not necessarily one of United’s top targets, with younger players like Neymar, Kylian Mbappe and Harry Kane said to be in their sights. All of these would be pretty ambitious and expensive moves for the Red Devils, but the Premier League giants have shown themselves to be big hitters in the transfer market since Ferguson retired. In recent times, Man Utd have spent big on established stars like Angel Di Maria, Paul Pogba and Romelu Lukaku, while Alexis Sanchez and Radamel Falcao have been big names snapped up on the cheap. And while this policy has had mixed success, one imagines a return for Ronaldo couldn’t really go too wrong. Even at the age of 34, the former MUFC star remains one of the greatest goal-scorers in the game, even if he’s gone off the boil slightly in his favourite competition this season – the Champions League. One imagines Ronaldo would still represent a big upgrade on the struggling Sanchez at United, and would add to the feel-good factor around the club since Ole Gunnar Solskjaer took over as interim manager. It will be interesting to see how this rumour develops in the coming months.